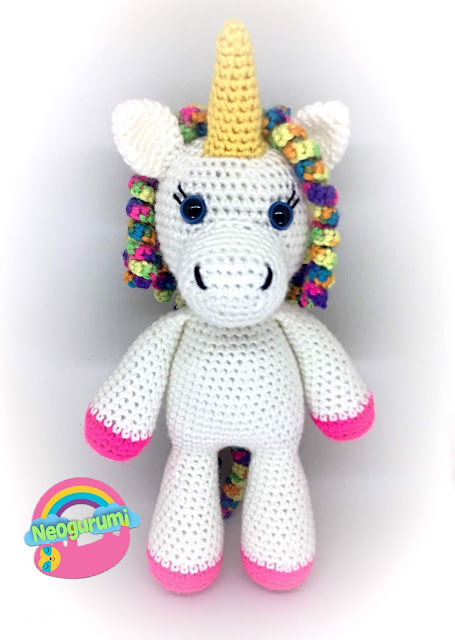 Free pattern for Twinkle the Unicorn amigurumi. My unicorn measures approximately 9” tall (minus the horn) when made with the above materials. R4: 18 sc (18) Change to white on the last st of this round. R6: 24 sc (24) Change to white on the last st of this round. Stuff the body as you go. Stuff body and continue on to the head. Stuff the head as you go. Insert safety eyes between R10-11, 8 sts apart. Embroider eyelashes. Fasten off and close up head. 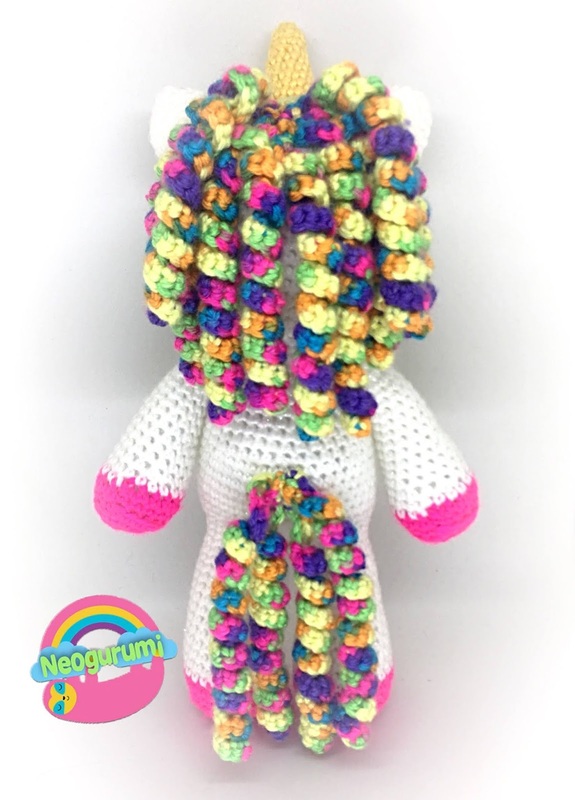 Weave in ends. Fasten off with long tail for sewing. Sew to the face, under the eyes, add stuffing before closing. Fasten off with long tail. Flatten ears (do not stuff) and sew to the head as pictured. Fasten off with tail. Stuff and sew to the head. Fasten off with tail. 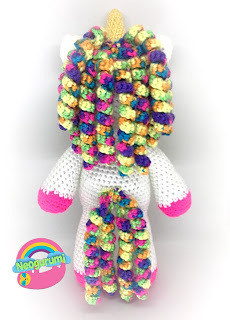 Sew 12 down the head for the mane – in 2 rows of 6. Sew 4 to the body for the tail.